Communications Holdings, Inc. (“Birch”). 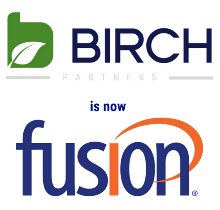 The acquisition was completed through a merger of a wholly-owned subsidiary of Fusion with and into Birch. The total enterprise value of this transaction was approximately $600 million, consisting of approximately 50 million shares of Fusion common stock and the refinancing of $444 million of Birch indebtedness.